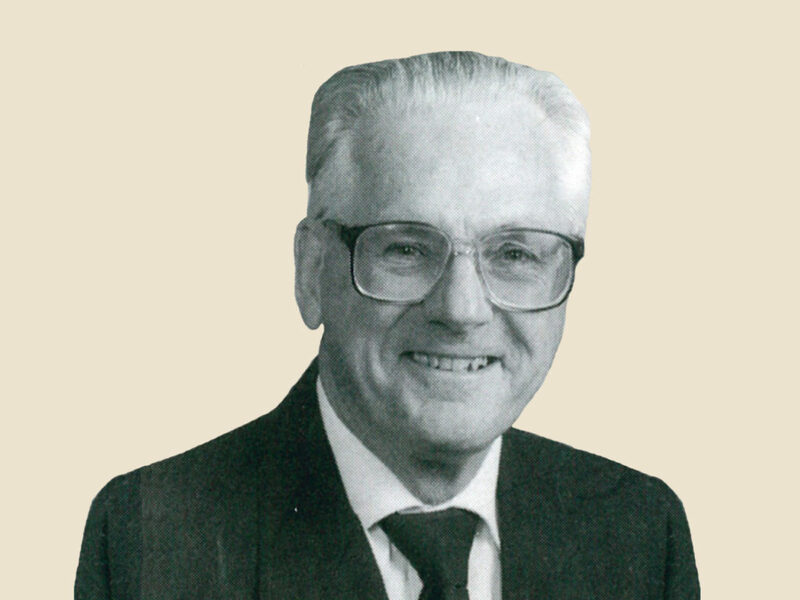 In Memoriam: Brother James Mahoney, C.F.X. Brother James Mahoney was born in Malden, MA in 1933. Upon graduation from Immaculate Conception Boys’ Catholic High School, Brother Jim entered Sacred Heart Novitiate in Fort Monroe, VA where he received the habit of the Xaverian Brothers and religious name, Shamus. Brother Jim is survived by his older brother, Brother John Mahoney (Crispin) in whose footsteps he followed. Brother Jim would pronounce his first vows as a Xaverian Brother on the Feast of Saint Joseph whose humility and devotion to Jesus through his hidden life would provide Brother Jim with examples of how to live his call as a follower of Christ. Upon completing his novitiate Brother would earn his BA in Physics at the Catholic University of America. Brother Jim possessed a brilliant mind for science and became a superb science teacher. His first teaching assignment was at Saint John’s Prep in Danvers where he spent five years from 1956 through 1961. From there he would be missioned at Cardinal Hayes in the Bronx, Notre Dame in Utica, NY, his alma mater, Malden Catholic, St. Joseph’s Regional in Montvale, NJ, Xaverian Brothers High School in Westwood and finally for 14 years at Saint John’s Shrewsbury from where he would eventually retire in 2001. Brother spent forty-five years teaching high school science. One of Brother Jim’s talents was that he was a life-long learner gifted with a curious mind that served him well as a science teacher. Brother earned his Master in Teaching Science from the Catholic University in 1964 and a Master in Physics at Purdue University in 1972. Brother Jim’s pursuit of knowledge would see him as a student at Manhattan College, Fordham University, City College, NY, Cornell, Boston University and William Patterson College in NJ. It is always difficult to capture a person’s spirit and their unique contribution to life. The task is particularly challenging in the case of Brother Jim. He was an extremely quiet man who did not engage easily in conversation. Yet his personal qualities speak so clearly of how he embraced the charism our Founder left us. Brother Jim did not need words to speak of his fidelity to his Xaverian vocation. His constancy in community, his example of dedication to contemplation and prayer and his obedience to serve where needed speak so clearly of who Brother Jim was and is for his confrères. Brother was a humble person whose simplicity taught him detachment and gave his Brothers an inspirational example for our way of life. Brother’s trust that God would not abandon him as Parkinson’s progressed reveals the depth his relationship with God. We pray that Brother Jim is enjoying the peace and communion with God. We pray for his Brother John and all his confrères that they experience both consolation at his passing and inspiration from his life.